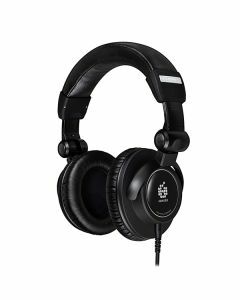 The ADAM Audio STUDIO PRO SP-5 is a premium-quality circumaural closed-back headphone designed for professional use with a balanced and dynamic response for monitoring and mixing in the studio or with a mobile setup. The ADAM SP-5’s transducer utilizes a 40 mm gold plated diaphragm allowing for a wide frequency response from 8 Hz to 38 kHz, excellent transient response, and low distortion. Reproducing sound with pristine resolution across the entire bandwidth, the sensitivity of 95 dB @ 1 mW per ear enables the listener to exploit its generous dynamic capabilities when listening.